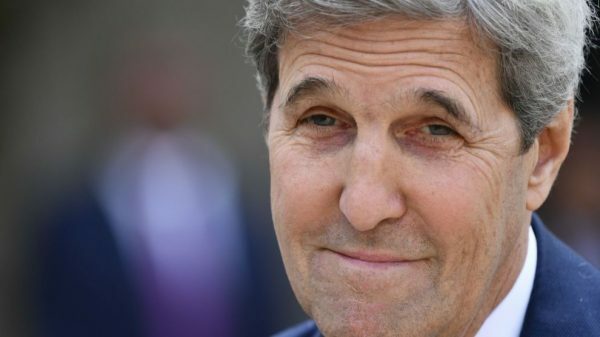 John Kerry, the former US secretary of state, has torn into Donald Trump in response to the president accusing him of holding “illegal” meetings with Iran. The former Massachusetts senator used decidedly undiplomatic language, saying Mr Trump had “the maturity of an eight-year-old boy with the insecurity of a teenage girl. That’s just who he is”. The attack came after Mr Trump tweeted that talks Mr Kerry held with Iran officials after leaving office were “to the detriment of the American people”. Matt Summers, a spokesman for Mr Kerry, later defended the Iran meetings – which he revealed in a recent interview – more fully. He added: “Like America’s closest allies, Mr Kerry believes it is important that the commitments Iran made under the nuclear agreement, which took the world years to negotiate, remain effective. “He was advocating for what was wholly consistent with US policy at the time. If Kerry wants to appear to be working counter to the current administration to purposely undermined or sabotage it, then he risks acting as a traitor with a hostile country that clearly hates the US. Apparently Kerry is OK with chanting death to America. That and lies is what you get when dealing with radical shiite mullahs. Now if Kerry is on a peace mission to accept the surrender of the mullah dictatorship, then he deserves praise, other than that he has proven to be ineffective in dealing with “the enemy” that has tried and succeeded many times in killing Americans back to the good old days in Beirut and 300 dead marines.Maybe Kerry has forgot who he is dealing with? Mr Trump had “the maturity of an eight-year-old boy with the insecurity of a teenage girl. That’s just who he is”. I wonder what is the maturity level of those that voted for him as president. The voters have the maturity level of the “White Trash” of America, Trump knows it. Trump feeds them with his fake news, and they love it.